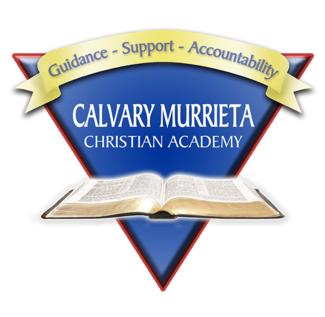 CMCA is so blessed by numerous volunteers and this program could not run without you. One parent from each family must volunteer to help with one area. Each activity will have a certain number of volunteers needed. Please sign up for at least one volunteer position. You may sign up for more than one area, but you will be expected to help in each area you sign up for. Please note that these dates are subject to change. Prayerfully choose an area, as that will be your COMMITMENT FOR THE YEAR. Please take this commitment seriously. Think ahead and mark your calendar. If for any reason you cannot fulfill your commitment, please contact the office with at least a months notice. Please fill out the comments section if you have specific preferences with in that volunteer position. Responsibilities are: plan & organize 1-2 field-trips (call, find out details, etc. ), attend event & check off roster, complete an Activity Planning Form for each event. This is a 5 month responsibility that includes: greeting moms, being available to help with paperwork drop off, and other miscellaneous duties. Responsibilities are: plan one field-trip and one fellowship night, complete an Activity Planning Form. Responsibilities are: plan two elementary field-trips, complete an Activity Planning Form. We are also looking for four coordinators to organize the K-6th Holiday Parties. Date TBD. Responsibilities may include: bringing food, helping set up, and clean up. April 16 & 17, 2020. Need hall monitors, yard aids, proctors & proctor assistants. Helpers need to commit to both days. June 9, 2020. Need helpers to pass out programs, serve, and clean up afterwards. Volunteers should not have a graduating student. May 26, 2020. Need volunteers to help set-up & clean up. Volunteers should not have a graduating student. Need volunteers to help set-up tables, chairs, and other prep work. Please arrive by 9AM. Volunteers should not have a graduating student. Saturday, June 6, 2020. Need volunteers to serve and clean up. Volunteers should not have a graduating student.